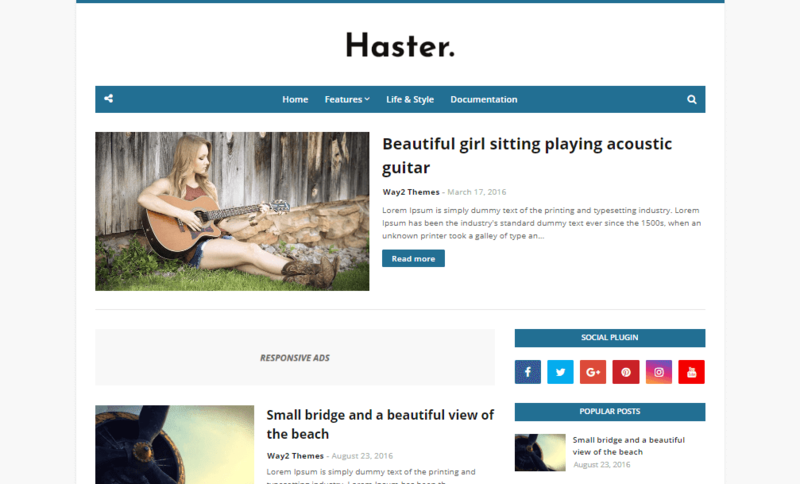 Haster Responsive Blogger Template best suitable for news, newspaper, magazine or review sites. It’s very quick to load, and has a pleasingly clean and minimal look that’s ideal for Blog or Magazine. Each and every element has been tested to ensure it adapts to modern smartphones and tablets. We strongly focused on the content and readability because they’re obviously important for all website owners, and, of course, This template is SEO-ready and provides a great platform to achieve super high search engine rankings for your website. We have created this theme with the thought to satisfy all needs and desires an user would have. ! 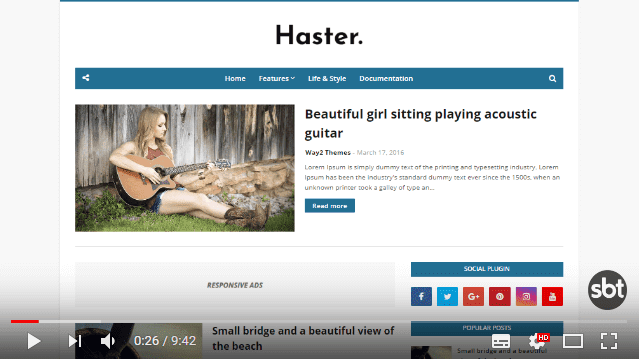 Following are some of the key features of Haster blogger template.